It’s a beautiful, sunny March day, and I pull up to a single-story, dark brown brick mid-century modern in North Dallas. Clerestory windows face the street, and on the front door is a little needlepoint sign that says “Come in Please.” Inside, the warm wood provides the backdrop for an Architects’ Wives Club reunion. 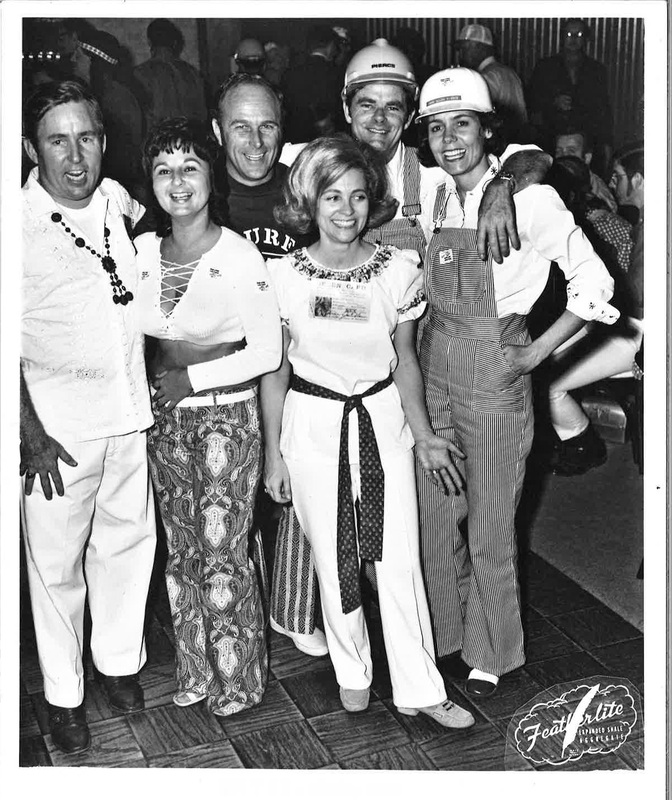 Pat Meyer — or Mrs. Jim H. Meyer, using the styling with which the club referred to the women back in the day — is the host. For the record, my husband is also an architect, but my house is not like this one. So the reunion begins. 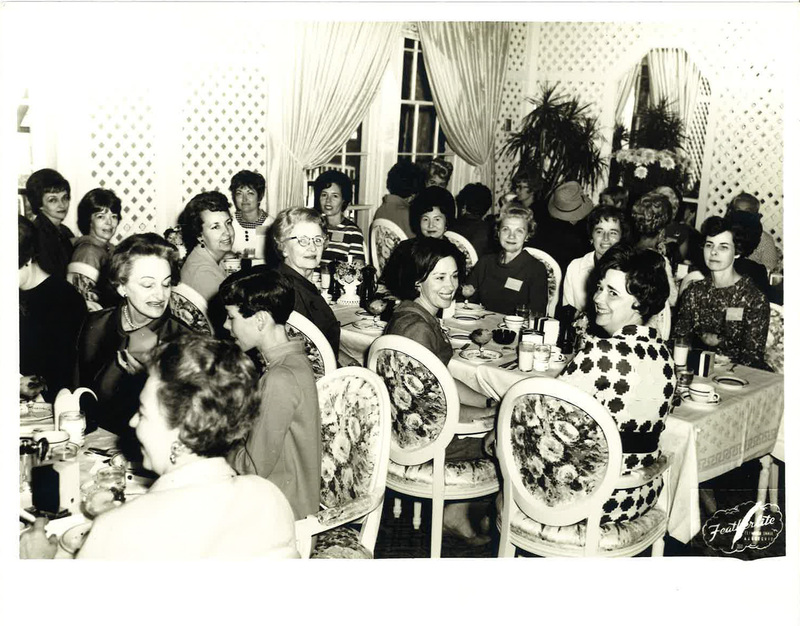 The Architects’ Wives Club members reminisce at the brunch, arranged after I contacted them to find out more about the now-defunct group. 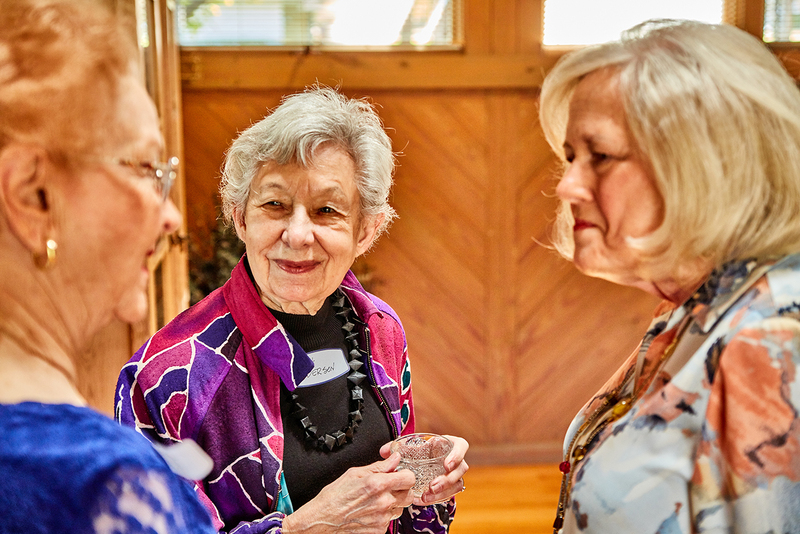 The women who’ve gathered today were members long after the club began, but represent the group when it was the social glue of the Dallas architectural community. 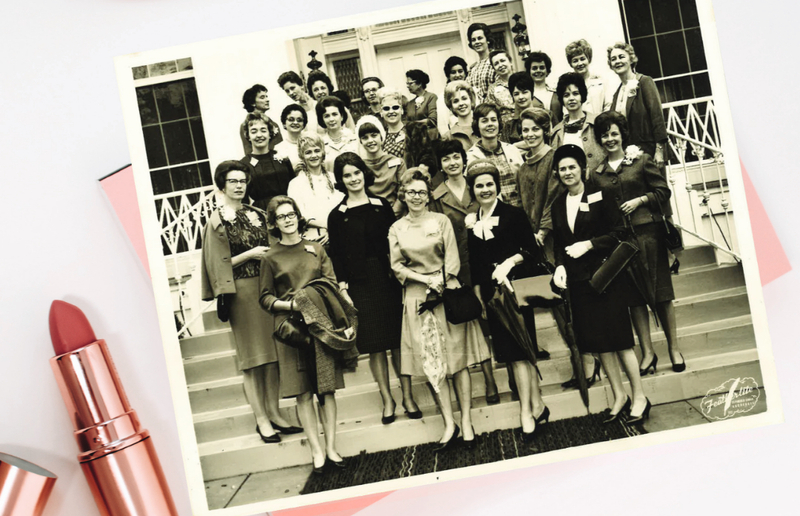 Founded in 1941 to host events for the second convention of the Texas Society of Architects in Dallas, the Architects’ Wives Club was the first of its kind in Texas. 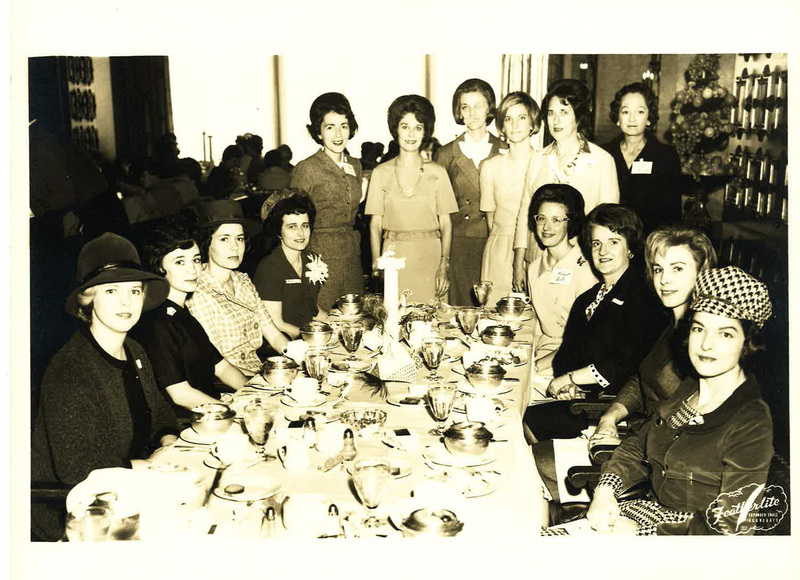 Mrs. John B. Danna, wife of one of the TSA’s founders, organized the women to aid the convention and then served as the club’s inaugural president. The first meeting was at the home of Mrs. Herbert M. Tatum. Now, 77 years later, we begin today’s event with a moment of silence for loved ones lost, and it’s clear these women mean a lot to each other. Donna Pierce, tall, well-dressed, and not short for words, is one of the first women to arrive. She served as the 1968-69 president. At the time, she was married to John Allen Pierce, whom she met at Rice University while both studied architecture. “In those days we all had three or four children. Architects Wives’ was our day to get out without the kids. Have lunch and be with all of our friends. It was the highlight of the whole month. We were such a tightknit group. We had so much in common because we worked so hard to build our own homes,” Donna says. In 1969, vandals burned down the Pierce home and the family lost everything in the fire. Donna pulls out a stack of 8x10 black-and-white photos. 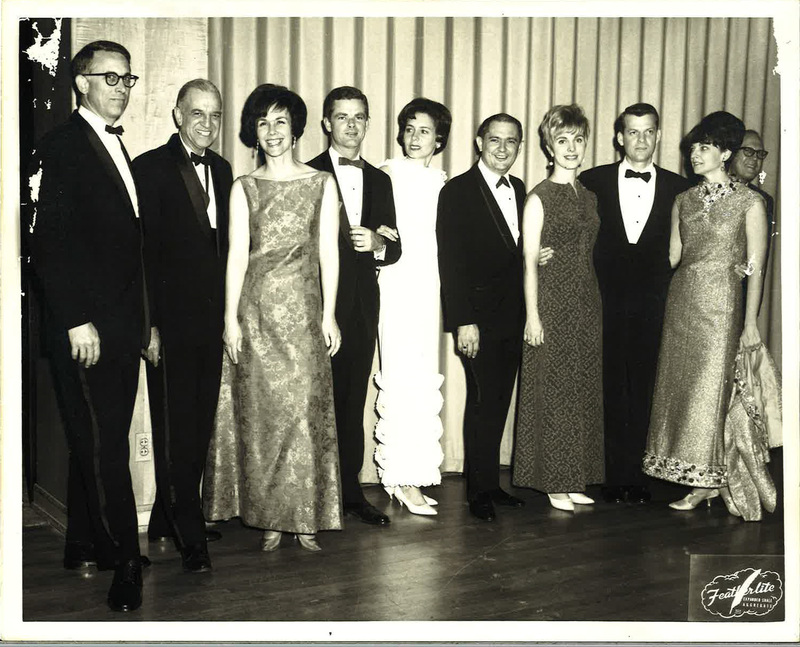 Most pictures are from the TSA conventions, with the couples in evening attire, the women’s hair perfectly coiffed. “Those were the days when we had wrapped our hair in toilet paper. You’d get it done once a week and wrap it in toilet paper to make it stay. Everyone did it. It wasn’t just me. I’m not the crazy one!” Donna says. It was a different time, and no one misses the days of wrapping her hair in toilet paper. “Thank goodness for the hair dryer!” one member says. At the end of each year, they elected officers for the following year to manage the programs and events. “It was just fun meeting ladies. We were all young, and we were meeting women with knowledge and experience. We loved being able to go into the architect’s house because they are all so creative. We saw such interesting places. We would always go to a fancy country club for the last meeting, and we wore hats. You had to have hats!” says Yvonne Davis, president in 1967-1968. For some, the group was simply “lunch, program, good-bye,” as one puts it when pressed for stories. Indeed, it is the conventions, the couples’ nights, the vendor-sponsored ski trips, and events around town that produce today’s stories. 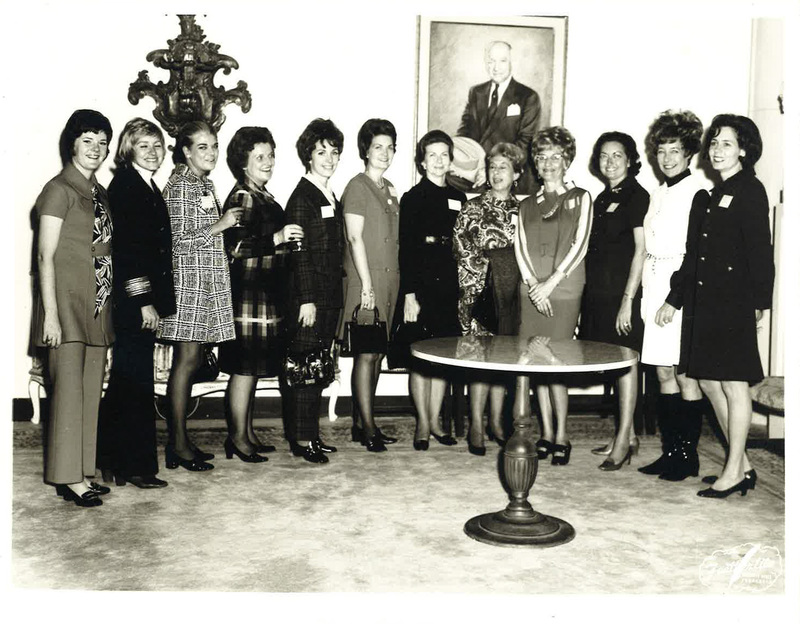 “We all had the same taste in men,” says Jane Clement, the 1979-80 president and a Texas Christian University alumna dressed in purple. Carol Corgan, wife of the younger Jack Corgan, served as president in 1980-81. This petite woman with a pixie cut is quiet at today’s brunch until she recalls the belly dancer that came to her house for a couples’ event. The cookbook was published in 1976 for the Texas Society of Architects convention in Dallas, then republished in 1978 for the national convention. 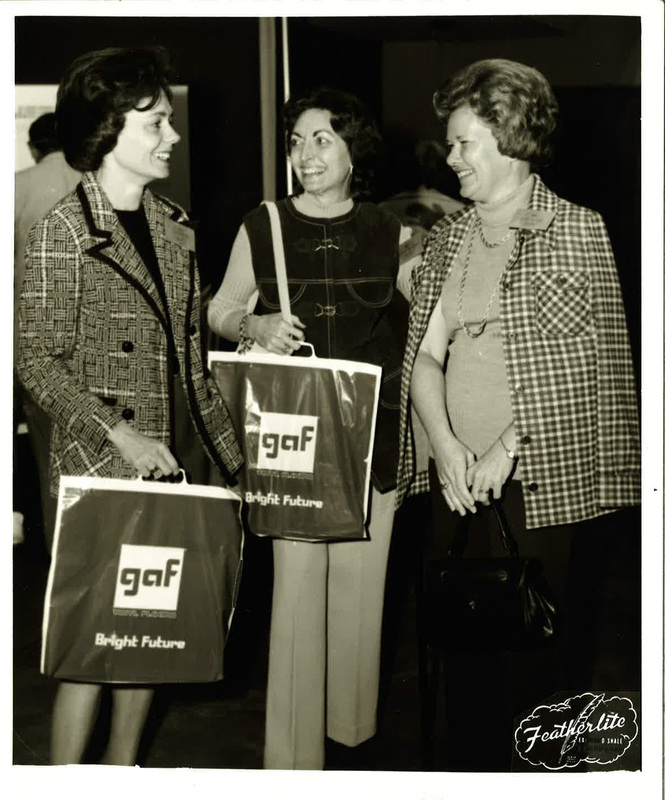 Babs Cape served as chairman of ladies’ events for the 1976 event. “I remember that I can no longer wear high-heeled shoes because I walked the convention center for so long, I destroyed my feet,” Babs recalls. Jane helped organize the book review at that convention. “I did tours, manned the gift shop, and organized the book review at Neiman Marcus. “I remember the public relations lady came and said, ‘Mr. Marcus would like to say a few words to you all.’ It was Lawrence Marcus. He came and talked and talked for an hour. He was so anxious to tell us about all the different architects he had hired to do their stores. That would’ve have been great except I was so concerned about the book review that needed to start. We all ended up being late for the party that evening,” she says. 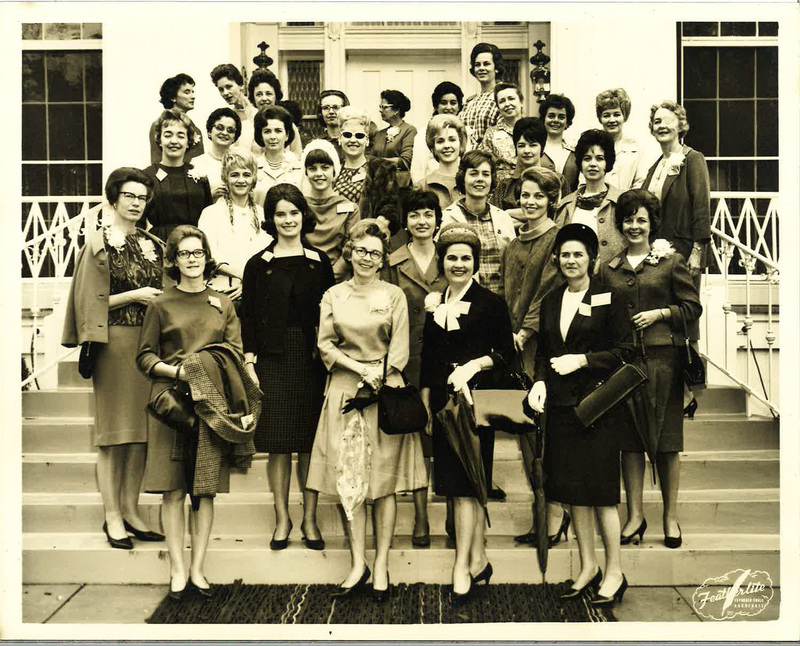 The women’s bonds superseded their husbands’ professional relationships, whether friendly or tough rivalries. It was an era when a wife supported her husband by holding dinners, typing specifications or even offering advice on a home design. 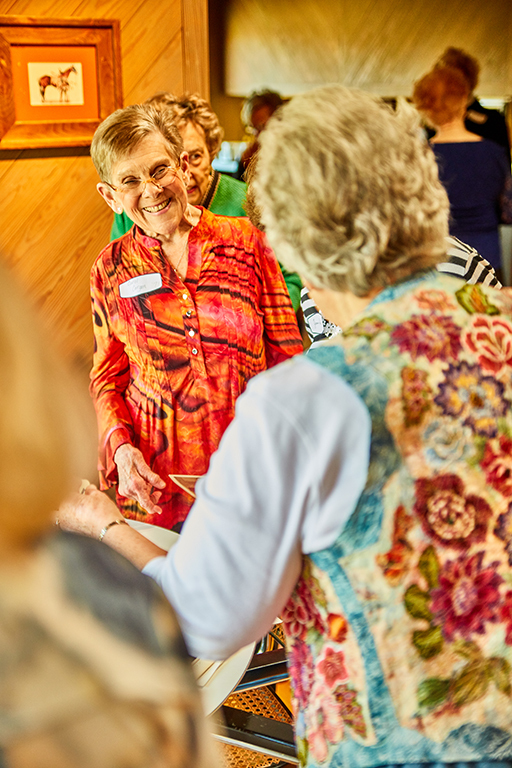 The club also provided opportunities for these women to travel and tour architecturally significant buildings. The result? A group of AIA supporters knowledgeable about the architectural profession. 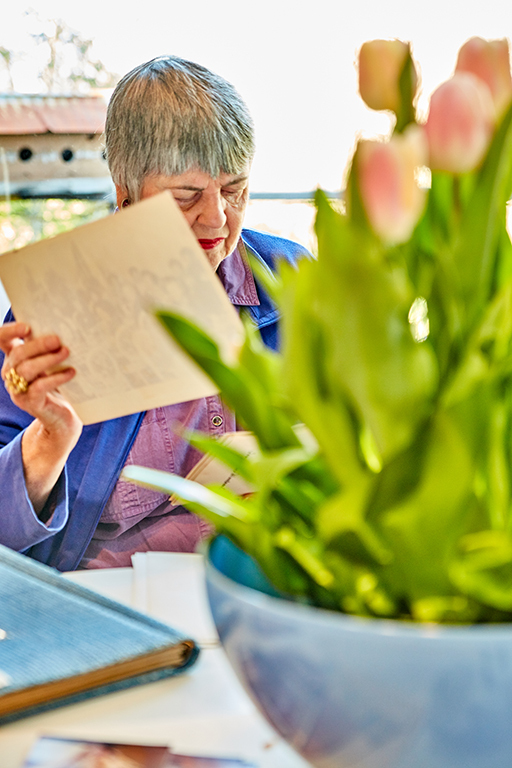 “We got to see places that we normally wouldn’t have access to,” says Pat. 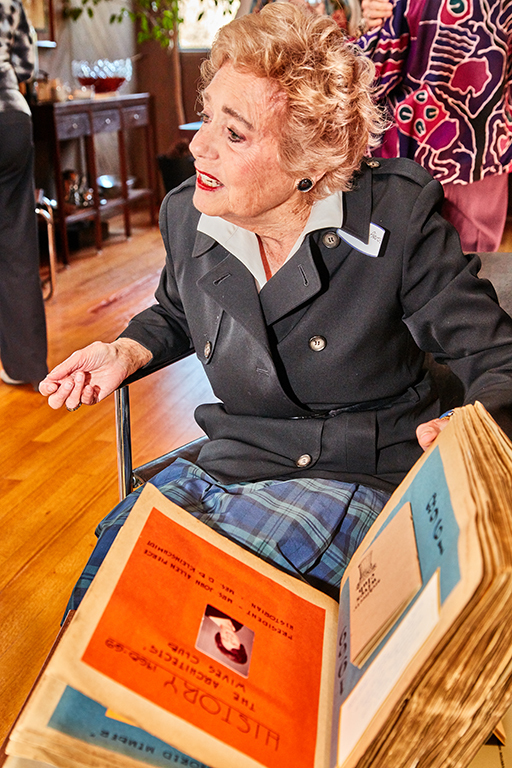 Every year starting in 1941, the group’s historian collected the program from the year, newspaper clippings about the club, and photos, and put them in a large leather-bound scrapbook. 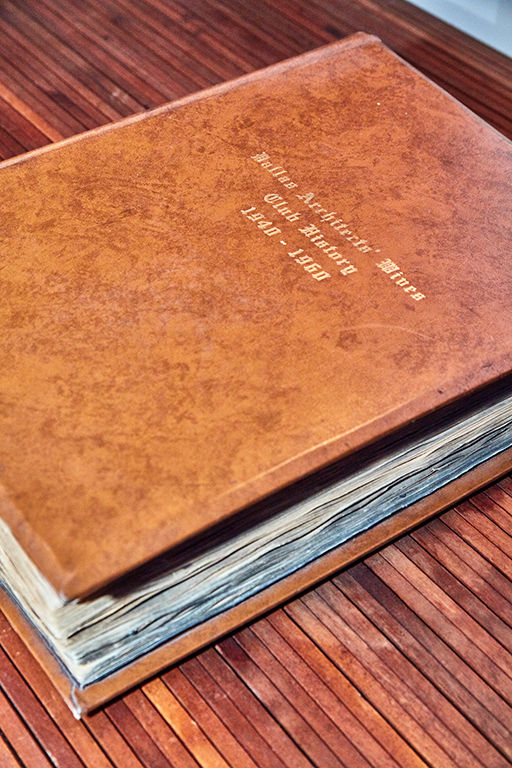 Each scrapbook covers a decade, and all are kept in the archive at the AIA Dallas office. The scrapbooks end in 1995 without much explanation as to why the group dissolved. So what happened? When the stock market crashed in 1987, the group began to fade. “It didn’t change overnight. You would get word that someone was cutting people,” one member says. “No one wanted to be associated with their husband’s profession anymore,” Donna recalls hearing at the final meeting. Once in a while, someone would try to restart the group, but it never gained traction. “I wish we got together more often, but when we do, it’s special,” Donna says. 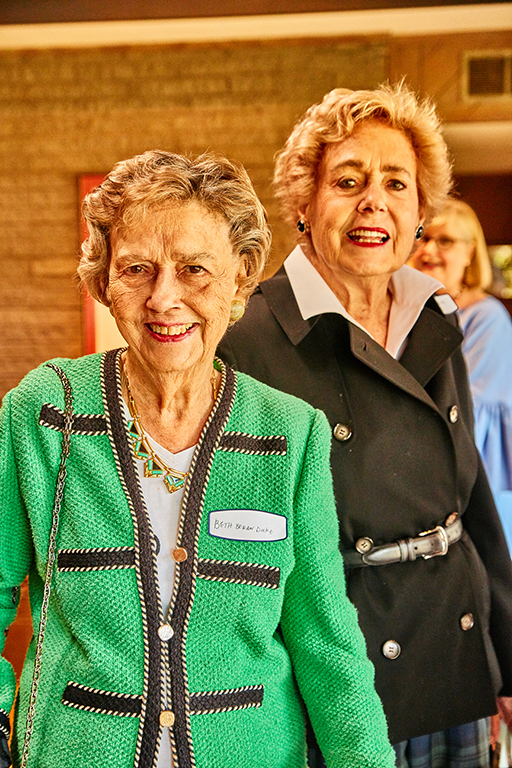 Time is precious, and these friendships have proved to be long-lasting and meaningful beyond their husbands’ profession. I’m not sure anything replaced this group. Over the course of talking with the women at this brunch, my perspective of the organization shifts. When first hearing about the group, I couldn’t comprehend what a group like this would do. Born around the time the group started to decline, I grew up with a working mother. My entire life, especially my working life, has been in an era when women are expected to work and support themselves without depending on a husband. In my lifetime, women are marrying much later in life, if ever. To hear firsthand about the Architects’ Wives Club and these women’s perspectives is enlightening. Before I met them, I assumed their role must have been networking and a bit like what our marketing department does in house. But none of my preconceived ideas were true. 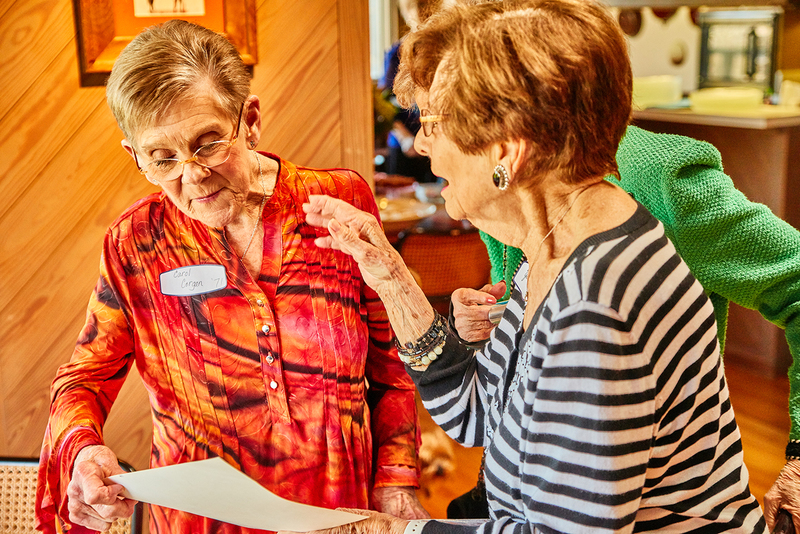 Each woman was an active participant in her husband’s career and heavily involved in the community in addition to their primary role of caretaking. The purpose of the organization was support for their husbands’ careers, support for the architectural community, and support for each other. Aside from the cringe-worthy language, I really enjoy this moment from history and describe it to Donna. Jenny Thomason, AIA, is an associate at Omniplan. Food is one of those cultural indicators not only of a place, but also a time. Cooking Directions, the cookbook produced by the Dallas Architects’ Wives Club became a staple of home cooks within our architectural community. While Cooking Directions is no longer in print, it is available online here.